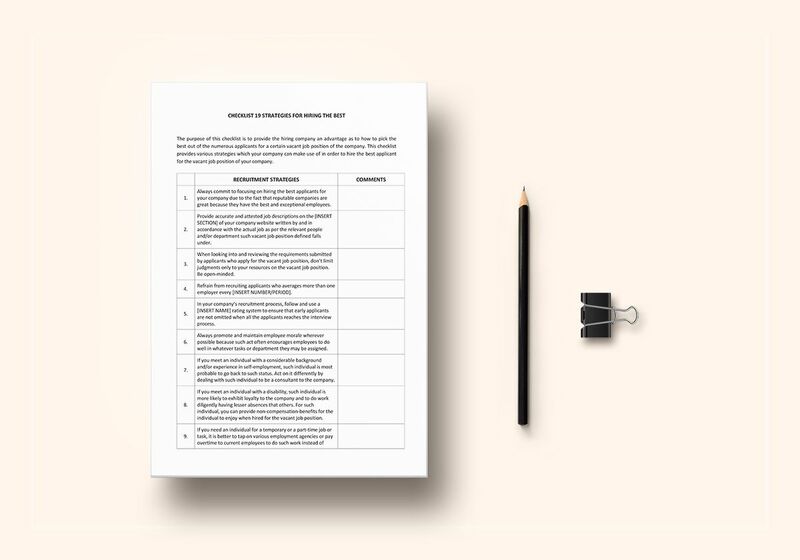 Create a checklist of strategies for hiring the best candidate for a position with this affordable template. 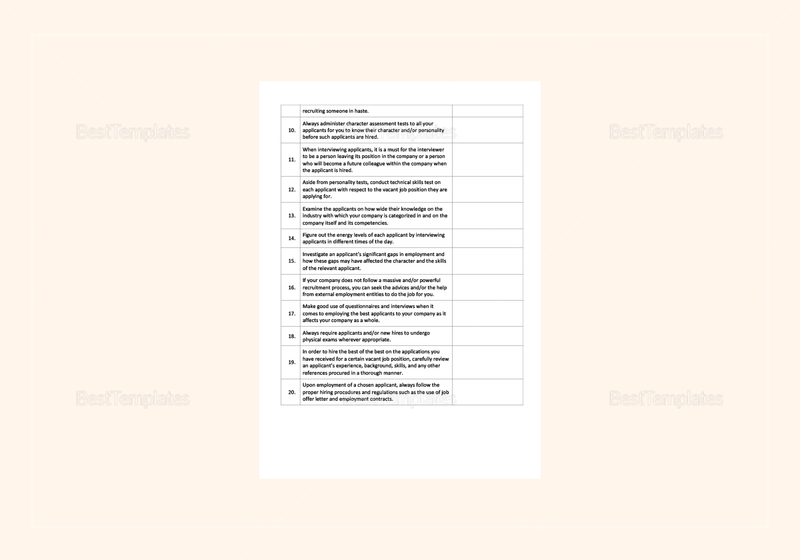 This well-formatted file is easy to use and printable. 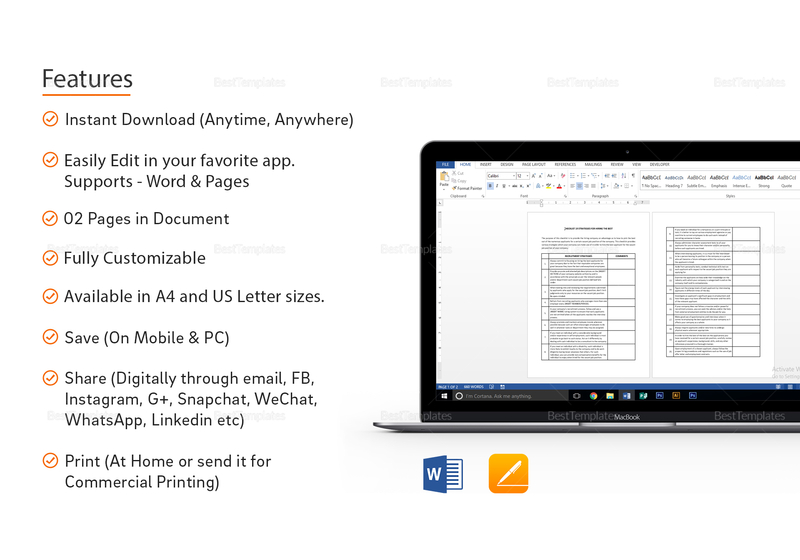 It is also fully customizable in all versions of MS Word and Apple Pages. Get to print this in personal as well as commercial printers.